We develop freely and happily in the fun setting of Wunan Kindergarten. We enjoy multicultural experiences with Chinese and foreign celebrations. Our school and families work together for our harmonious development. We want to become little global citizens with China in our hearts! 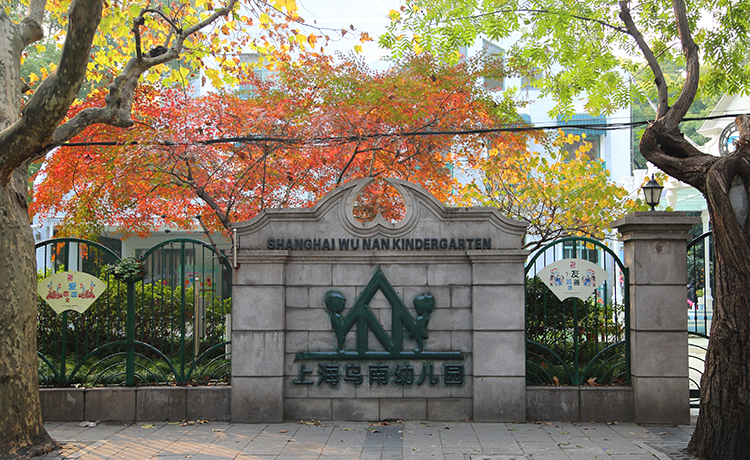 Wunan kindergarten is a public kindergarten with notable status as a model kindergarten in Shanghai. Wunan kindergarten is located in the consulate area, with a very strong cultural atmosphere. Opposite us, the international chapel, built in 1934, is the origin of our name Wunan; next door is the American consulate, and surrounding us is the Hengshan hotel, the Chinese railway workers movement monument and many celebrity residences. In 1956, the international chapel kindergarten and the Kindergarten of the East China Ministry of Health changed to Urumqi South Road Kindergarten, referred to as Wunan kindergarten. In 1958, we took the lead in the district in developing a toddler class. We insisted on combining education and nurture in the long-term. Since 1984, Shanghai has had three kindergartens, including Wunan, accepting foreign children, many of whom learn Chinese in a short time. Wunan has a working team of high quality professional and responsible teachers. The average age is 33 years old, having bachelor education degrees or credit. Wunan is China’s educational committee’s practice for “kindergarten working regulations” among all of China, selected out of 11 kindergartens as Shanghai’s exclusive experimental kindergarten. Also, it is the base for Shanghai city kindergarten reform, famous teachers, city family education, etc…continuing 11 times the honor title of Shanghai City Civil Unit. Copyright © 2017. All rights reserved by Wunan Kindergarten.